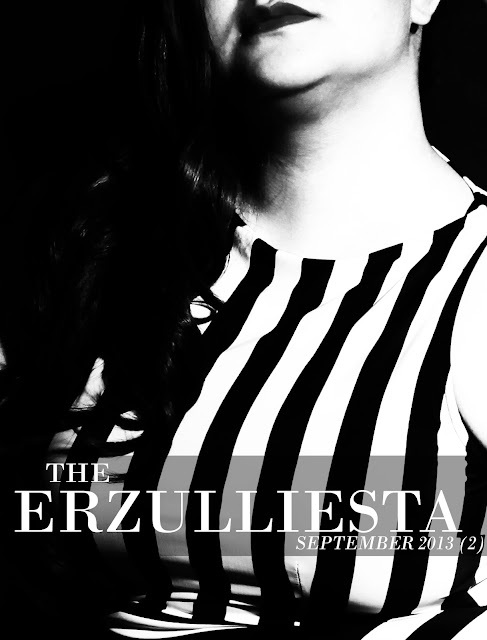 PLUS SIZE FASHION: "THE ERZULLIESTA SEPTEMBER 2013 (2)"
#2 Monday Mantra: "My style is my personal/public signature"
#4 Tuesday Topic: Outfit. Outpassion. Outlast: Bloggers That Last I miss my local plus size fashion blogs! How come other last, while others fade away? #5 Wednesday Wear: "Printastic" Shake up your style with some print break! #6 Thursday Tip: "3 Ways To Shop In A Regular Size Store, As A Curvy Woman Part II" More ways to shop in our current shopping jungle! #7 Thursday Throwback: "Being A Plus Size Model According To Loren Monares" An insightful way of looking at one's career as a plus size model. #8 Fierce Friday: "ReKovery: How Khris Guarin Survived A Health Crisis" We catch up with Erzullie Icon and Plus Size Model, Khris Guarin. We did not know that she just survived a health crash. Check out this inspiring interview. #9 Saturday Style: "Cropped Edge" Don't know what to do with a cropped top? Check out this style inspiration! #1 Erzullie's "The Fashion Feast Event"
#2 "3 ways to shop in a regular size store, as a curvy woman PART II"
#3 Plus Size Interview: "ReKovery: How Khris Guarin Survived A Health Crisis"
#1 "Dessert #2 Black and white printed leggings"
#3 "Plus Size Model Go-See: The Next Erzullie Icon 2013 (#TNEI2013)"